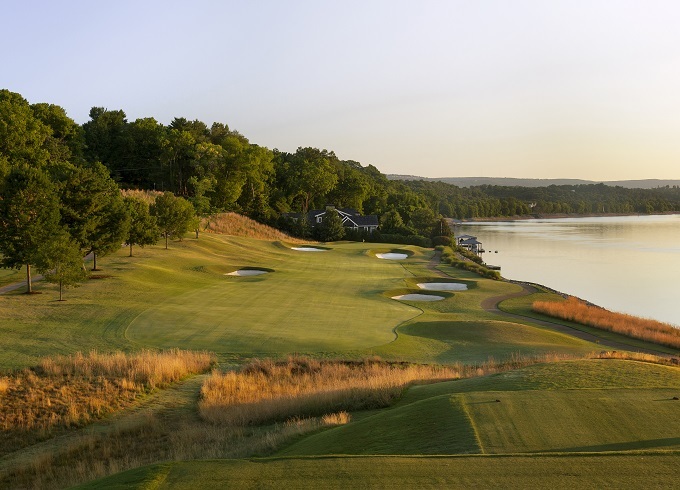 While the river is the dominant feature on the opening hole at Chattanooga Golf & CC, notice how we were able to focus your attention back on the fairway and greens complex. 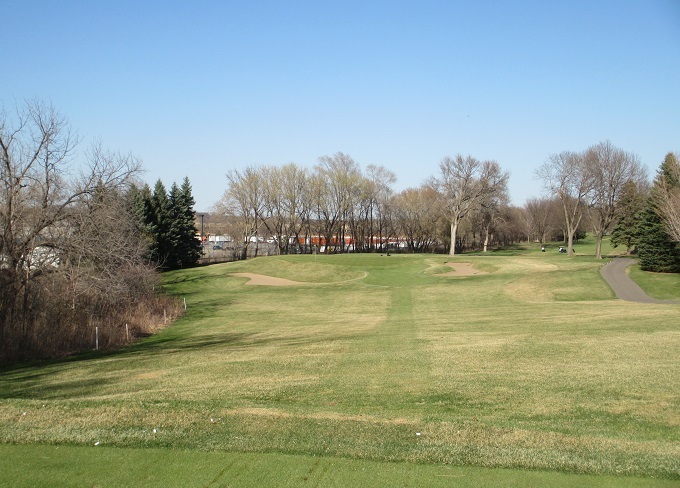 The 2nd hole at Minnesota Valley is a bold restoration of a Seth Raynor Redan! 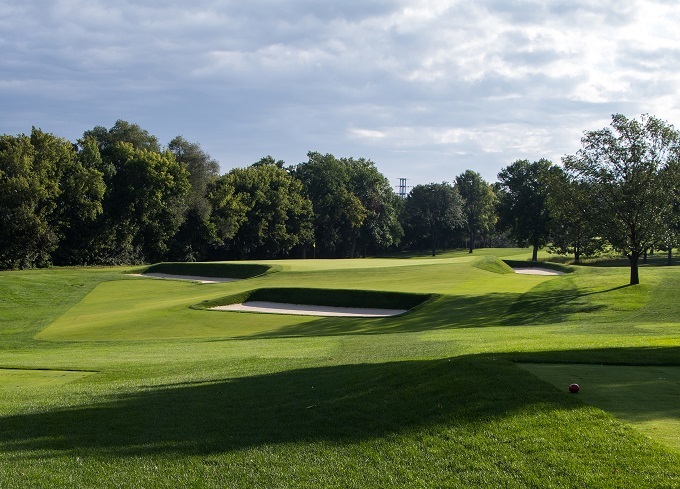 Inspired by Raynor’s work at Chicago Golf Club, our version holds its own with the best of these unique template holes. 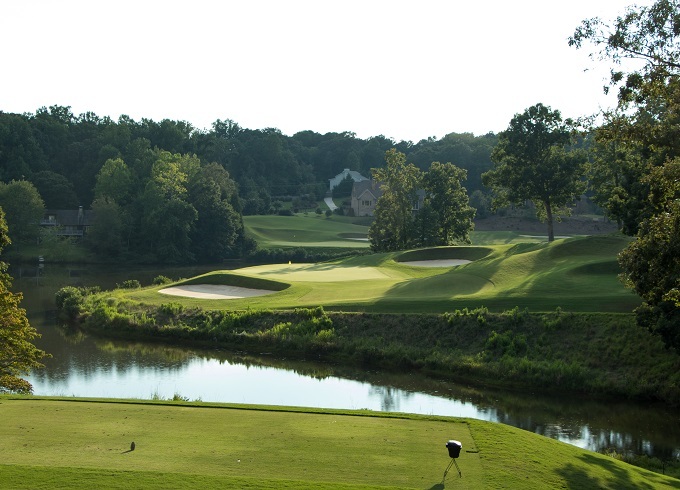 The 12th hole at Pinetree is an attention grabber. 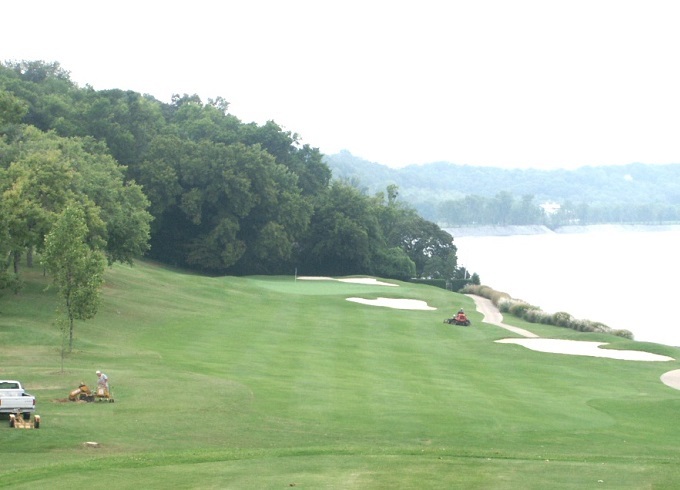 By shifting the green down and to the left and rotating the tees to the right, we were able to expose the lake. 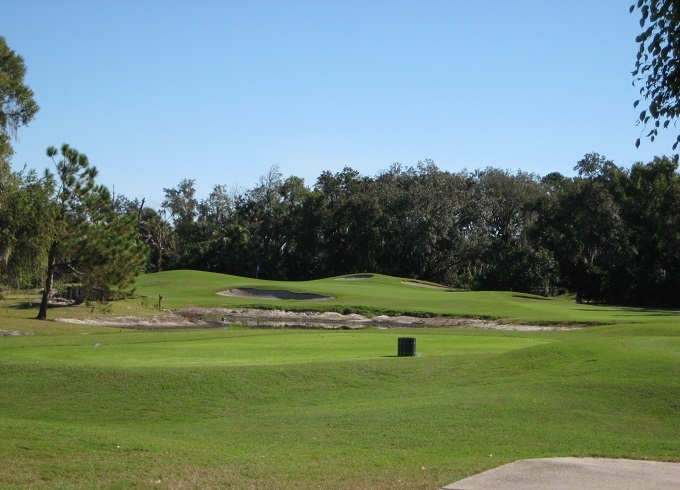 Certainly more dramatic visually, there is actually more playable area on the new version of this hole. 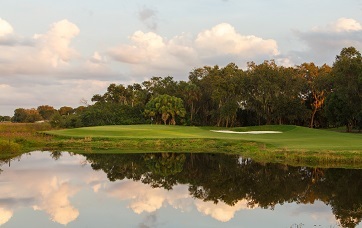 Situated along Lake Hamilton, the green on the par three 6th at the CC of Winter Haven has been shifted well to the left and turned from a wide target into one that is long and narrow. 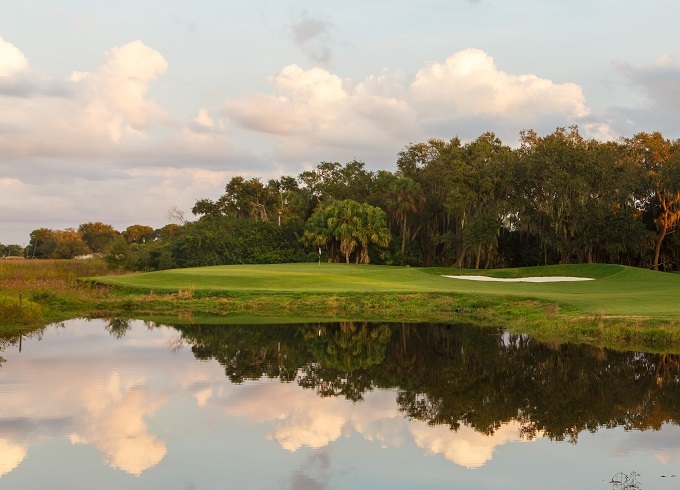 Wind is usually a factor and a player’s starting line varies greatly depending on whether it is coming hard off the lake or blowing toward the water hazard. A 1921 A.W. 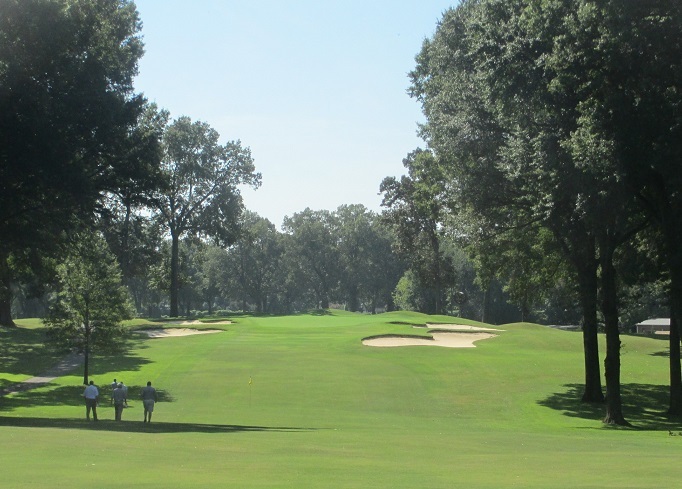 Tillinghast design, the short par five 7th hole at Oaks Country Club has been lengthened and dramatized. 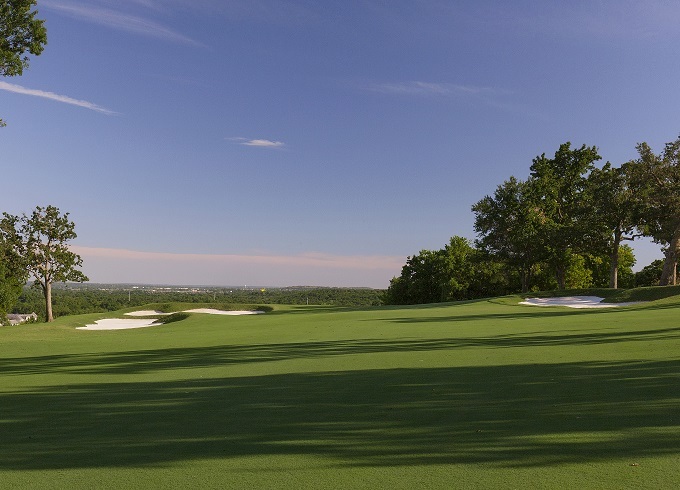 By hanging the putting surface on the edge of a high plateau, the valley in the distance is easily in view and the risk level on this exciting scoring hole has been greatly increased. 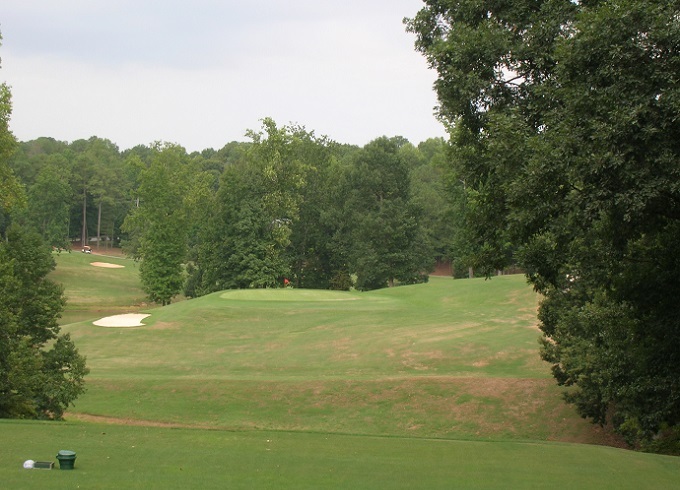 A wide bail out has been shaped right of the green. 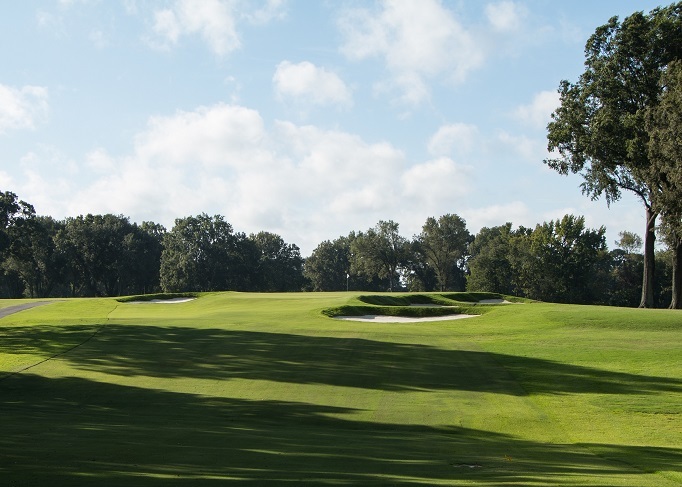 The 12th hole at Chickasaw Country Club is one of our best examples of restoration on this 1922 William Langford design. 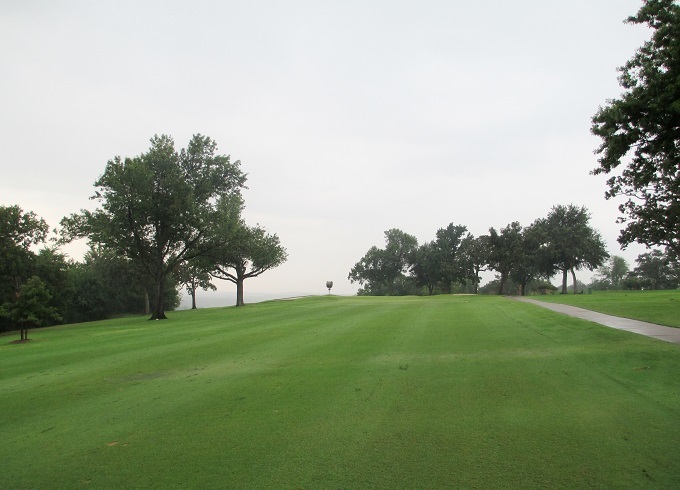 The green was pushed back slightly and trees were removed, but the bunker complex is modeled after a historical photo found in the golf shop.